This is where you can find services for people with disabilities or chronic illnesses, and for their families and representatives. Assistive Technology. Locate resources to help you find and pay for the right equipment and technology to help you perform tasks at home, work, or play. Fun. Find adapted sports, accessible travel, social clubs, and other activities. Health & Wellness. Connect to health care services, insurance counseling, public insurance programs like Medical Assistance (MA), and services to help you manage your health benefits. Home. Discover local housing options and programs that can help you with home repairs and upkeep. Locate resources to help make your home easier for you to live in and use. Jobs. Find training, supports, work incentives, and benefits counseling to help you find or keep a job. Legal. Find resources to help you understand your rights and responsibilities. Connect to advocates, plan for the future, and get legal help. Money. Explore crisis funds to catch up on rent, mortgage and utilities. Search income support programs and help for managing money and debt. On Your Own. 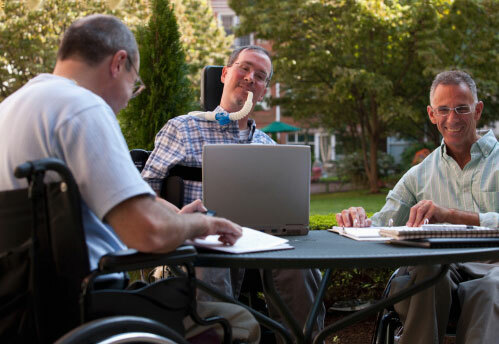 Locate help and training to increase your independence or to move from a facility into your own home. Personal Care. Connect to Personal Care Assistance (PCA) services, home health aids, or other home care providers in your area. Transportation. Search public transportation options or learn where to go for adapted drivers’ training, disability parking permits, and more.